Learn this quick Google Analytics variable tip to prevent duplicate enhanced ecommerce events. You’re a marketing guru and have implemented onsite behavior tags (or had someone do it for you!) to help unlock even more insights from your customer behavior. Plus you have enhanced ecommerce enabled on your store for rich merchandising data. I’m going to share a tip to prevent dirty data that I learned the hard way (I make a lot mistakes when testing new things!). It was also one of our QA scenarios for our enhanced ecommerce implementation with our new GTM app for Shopify that we accounted for. 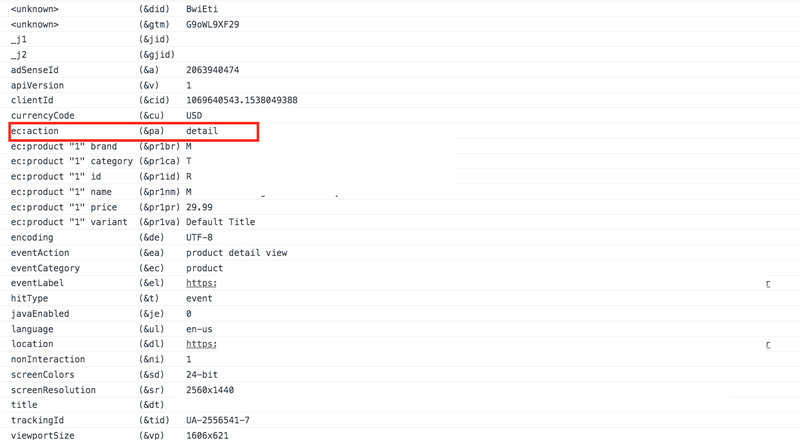 You have GTM implemented with the data layer fleshed out with enhanced eCommerce data. 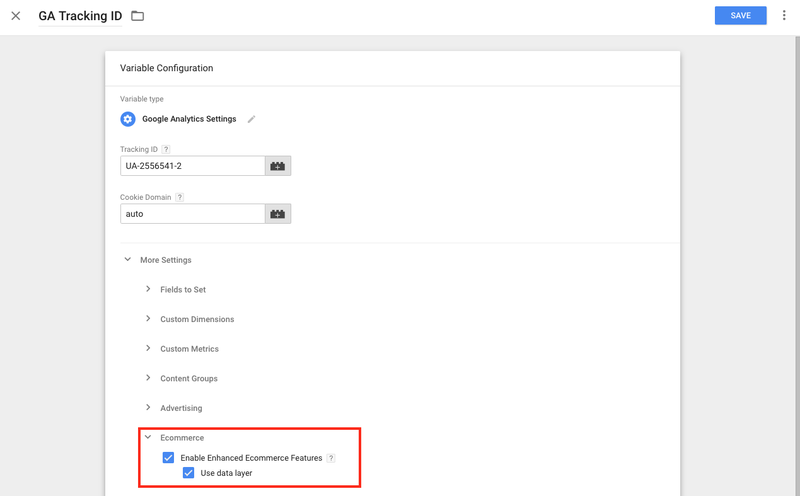 You most likely have a Google Analytics variable setup in GTM > Variables > User-Defined Variables that you use to assign to event tags. 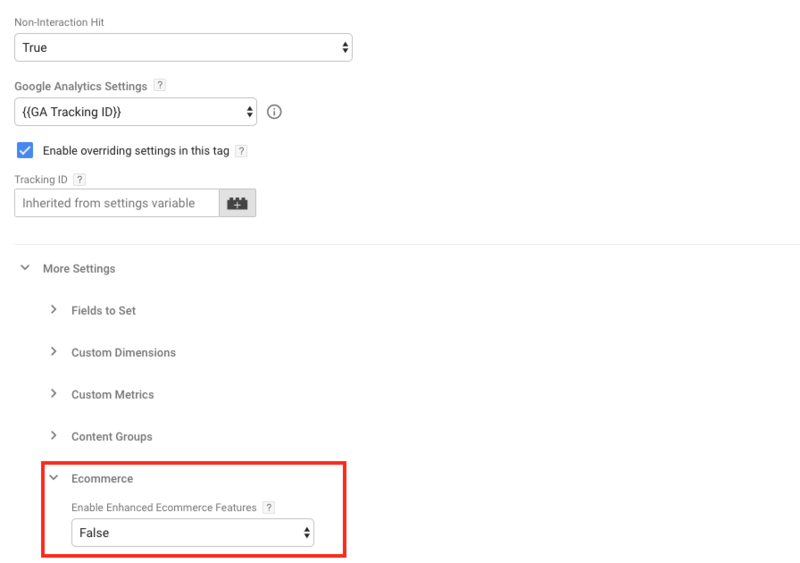 When you you assign this variable to a scroll depth event tag (or any other custom behavior event), and you leave the Google Analytics settings “as is” then you’re likely pushing additional enhanced ecommerce hits when these tags fire without realizing it. If you’re using the Google Chrome GA Debugger extension then you can recreate this issue yourself. What’s happening here is since this event is set to fire AND use the data layer, the event is looking to the current data layer values and firing this additional event data along with the scroll. How to prevent this duplicate enhanced ecommerce hit? This means even when the data layer exists on the page during my custom events that the data won’t be used within an event hit. Questions? Feel free to drop them in the comments below! just my two cents, why dont you just leave the EEC setting out in the GA variable and enable overwriting on the GA Core pixel and tick the EEC box there? Thanks Tim – that works just the same as well! Learn how to enrich your Facebook audience data with custom events created via GTM in minutes. Need to store an affiliate ID sending traffic to your site and use this data in reports to measure their performance? Send custom event and user data to your Klaviyo user properties with the help of GTM.